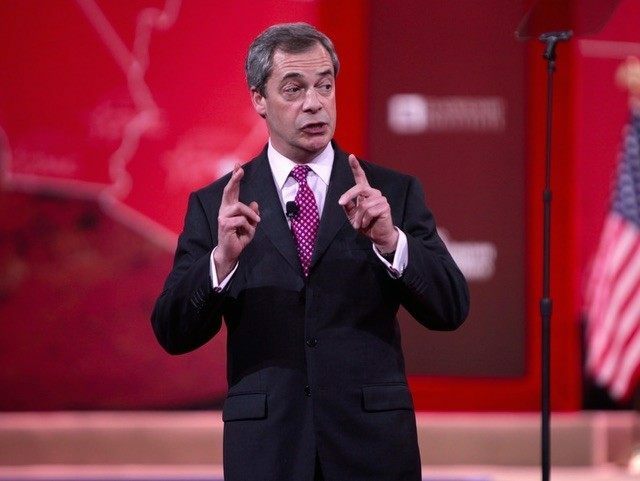 LONDON, United Kingdom – UK Independence Party leader Nigel Farage MEP has revealed that U.S. trade representative Michael Froman, who intervened in Britain’s Brexit debate last week, worked for the European Commission in the organisation’s “Forward Studies Unit”, failing to declare an interest in his statements claiming that Britain should remain in the European Union (EU). Speaking on the BBC’s Andrew Marr show at the weekend Mr. Farage alleged that Mr. Froman has been paid to make his intervention, pointing fingers at the “political club” that sticks together on issues that leave European taxpayers out of pocket. Now it has emerged that Mr. Froman indeed has been in the pay of the European Commission, which recently announced a propaganda taskforce to keep Britain in the EU. Mr. Farage told Breitbart News Daily radio live on Sirius XM this morning: “Froman basically said that if Britain was to leave the European Union there would be no bilateral trade deal between the United States and the Untied Kingdom. It’s ludicrous. “It is political interference by the Obama regime in the British referendum… prior to being Obama’s trade envoy, he worked for the European Commission. He worked in Brussels for the Commission’s Forward Studies Unit. “I am outraged at his level of interference”. In 2013, Mr. Froman spoke at the Commission in Brussels, declaring his huge ambitions to have the corporatist Trans-Atlantic Trade and Investment Partnership implemented by 2015. His biography lists him “as a member of the Forward Studies Unit of the European Commission in Brussels”. Politico notes that his position, in 1992, was an “internship”. Mr. Farage added: “We know that Obama is the first American president that is wholly anti-British”. He used the example of Mr. Obama removing the bust of Winston Churchill from the White House as evidence of this. Mr. Obama has also spoken out against Britain’s ownership of the Falkland Islands. Speaking to Andrew Marr on the BBC, Mr. Farage said: “He’s clearly been paid to say that, hasn’t he? This is the big political club gathering around the Prime Minister who clearly is in desperate trouble with the referendum”. Mr Farage’s claim triggered a hysterical response from some of the most pro-EU news outlets in the UK – including the Independent. “We have no [free trade agreement] with the UK so they would be subject to the same tariffs – and other trade-related measures – as China, or Brazil or India,” Mr. Froman concluded.